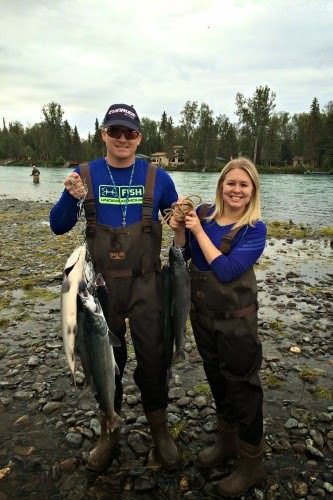 Today we’re talking about my favorite part of our trip – fishing! Now for those of you who know me, you might be a bit surprised because I’m not really known for being an outdoorsy person. I go fishing with my boyfriend every once in awhile (he goes pretty much every weekend), but I’m not a huge fan of fishing or any other outdoor activity and I hate camping (I’d rather sleep in my own bed thankyouverymuch). 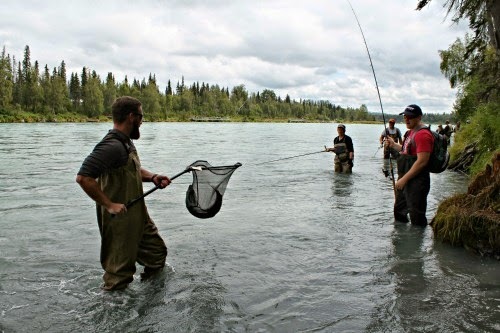 But I do like exploring new places and trying new things, so I jumped at the chance to spend a week fishing in Alaska. And you know what? I had a great time! 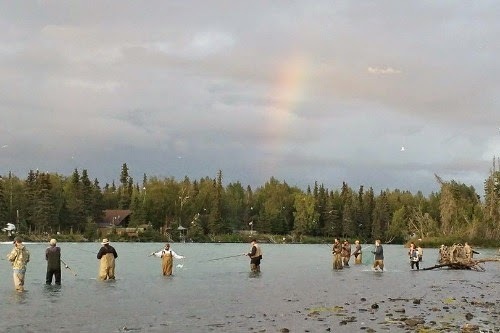 We arrived in Alaska late Monday night and then drove to the small city of Soldotna the following morning (read more here). Later that day we met up with our friends and we joined the rest of our group at the river. I’m so thankful we knew someone who had been there before. 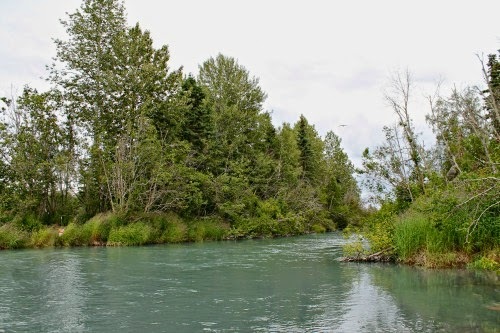 They showed us a great spot to fish that we would have never found on our own. It was down a couple dirt roads and then a mile or so hike to the perfect spot on the river. Otherwise, I think we would have had to hire a guide. The following day we tried another spot on the river, but it was really crowded. We had to wait for another group to catch their limit before there was enough room for the four of us. I didn’t catch anything in that spot, so I was glad we didn’t go back there. But my boyfriend caught one of the biggest fish of the trip there, so he wasn’t complaining. Thursday we had reservations for the Kenai Fjords National Park cruise, so we didn’t do any fishing that day. I’ll share all of the cruise details next week. Anyway, Friday morning was our last chance to fish so we went back to our original spot. I caught four sockeye salmon, but one got away like two feet before I could get it on shore. That was kind of a bummer, but I’m still telling everyone I caught eight fish on our trip…close enough. Everyone else caught their limit too, so it was a very successful morning and a great way to end the trip (despite the rain). 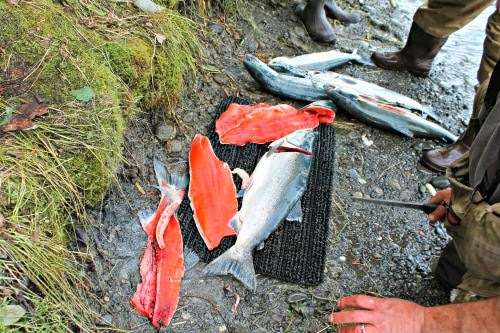 After we finished fishing each day we cleaned and filleted the fish by the river. Although, I didn’t do any of the filleting because a couple people in our group were way more experienced (don’t want to waste any meat). Then we bagged up the fillets and took it to the processor. They cut it into meal size portions and then vacuum sealed and froze it for us. They also held the fish for us and packed it for travel. We ended up bringing home 45 pounds of salmon! Two shelves in our freezer are now packed with fish. We’ve already cooked up a couple portions and it’s delicious. Definitely a lot fresher and more firm than store-bought salmon! 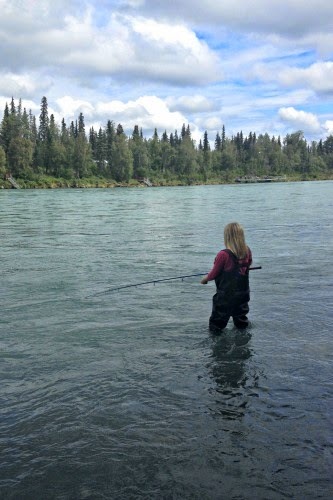 Long story short – I’d definitely recommend salmon fishing in Alaska even if you aren’t outdoorsy! And we're going to be eating salmon every week for the foreseeable future! Sam, I have been where you were! We lived in Fairbanks five and one half years! 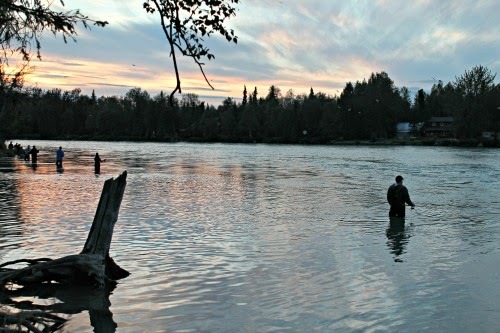 My husband loved to fish and we spent many hours in the combat zone fishing. There is no better fish than fresh caught! The flavor . can't be described. You are definitely a traveler!!!!!! Great to enjoy while you are young. You would not believe how quickly time flies. I was 36 when we make the trek to Alaska as a young army officer and his family. Now, I am 64 with children your age. Where has the time gone? My husband and I are going back to France soon. I will share our adventures. That's so cool! 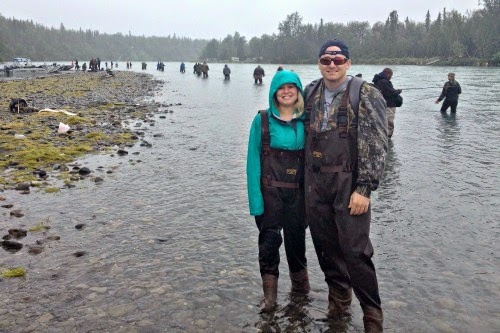 We really loved Alaska and are enjoying all of the salmon we caught. 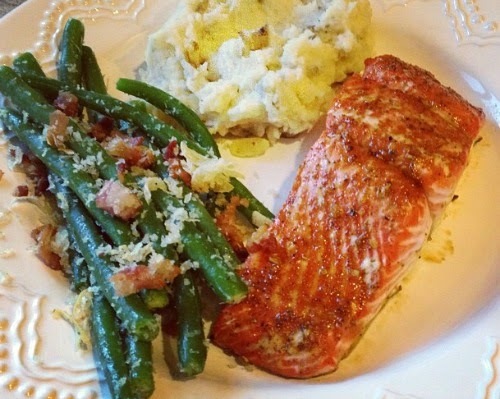 You're right - fresh caught fish is simply amazing! Can't wait to hear all about your trip to France! I'm jealous! This is super cool and that meal looks absolutely delicious since the salmon is sooo fresh! Happy for you!